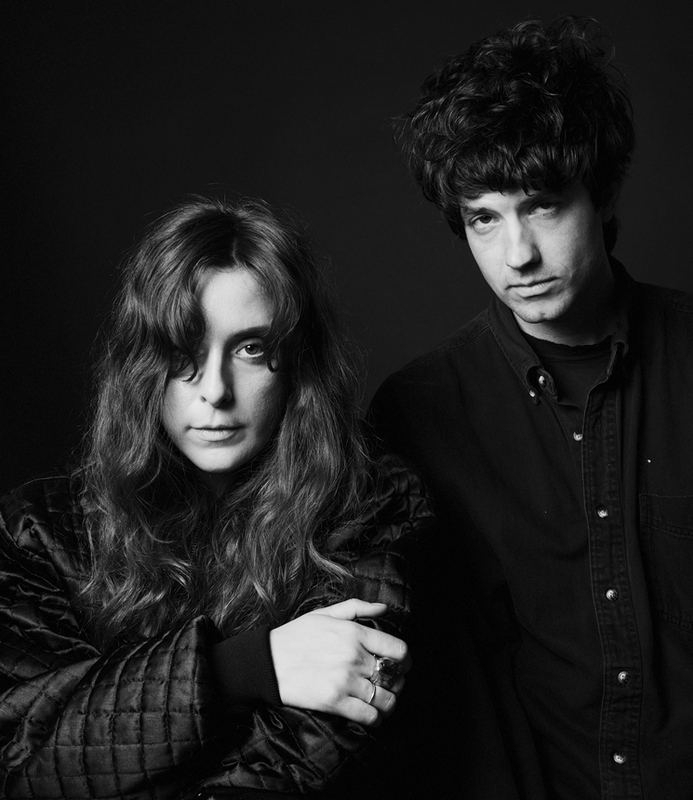 Since they formed 10 years ago, Baltimore's Beach House — Alex Scally and Victoria Legrand — have carved out a simple yet signature sound that is unmistakably theirs. Over the course of five albums, their woozy dream pop has never really wavered, and that's the way they like it. Their upcoming fifth album, Depression Cherry (out August 28 on Sub Pop), is no exception. "[Reinventing our sound] is something that doesn't even come up," Scally tells Exclaim! "But we do joke about making a dance record. And that can only ever be a joke, because we do what comes naturally." Beach House aren't concerned with changing with each album, because they embrace the limitations under which they operate. But that isn't to say that their sound doesn't evolve. Depression Cherry may sound related to 2012's Bloom, but it certainly isn't a retread. "We have these instruments that we love and inspire us, and then we follow them and what we want to hear," Scally explains. "So far that has limited us to a certain type of sound, I guess. I wouldn't say it's a formula, but I guess it is. We have drum machines, keyboards and organs, and not much guitar, but some to use as an accent, and Victoria's voice. So, there are these limitations that affect the way we sound. And who knows, it might be an interesting thing if we ever write without organs — I wonder how much it would sound like us. That's a good question. But we might not be inspired without organs. It's a holistic thing. A lot of the times, organ chords are what inspires us to write music. It's all interwoven. It's hard to separate the sound and the song to us." Despite sticking to their rather minimal setup, the band do find inspiration outside of it. Depression Cherry's lead single "Sparks" begins with a vocal loop the band recorded during a sound check in Bristol, England. It's in these unplanned moments that Scally and Legrand often find inspiration that will later on end up in their songs. "There have been many times when something has happened during sound check and we felt so strongly about it that we took our time to repeat it endlessly or put a recorder on so we wouldn't lose it," Scally says. "That's a big thing, where we won't stop until we have it memorized or recorded. A lot of times when we're done touring and we have the time to concentrate on writing, we'll go through those recordings, and if there are any with an inspiring feeling, we will go forward with it." Like Teen Dream and Bloom before it, Depression Cherry was once again co-produced by regular collaborator Chris Coady, who has become a crucial component in the band's recording process. "Aside from being a fellow Baltimorian and a dear friend, he doesn't interfere with our creative process at all," Scally reveals. "And he knows how to help us achieve our goal. We arrange everything ourselves, but Chris is good at getting the best takes out of us. He's good at managing the psychological pitfalls that go down in the studio. He has a lot of experience and wisdom, as well as some incredible technical prowess, like which microphones to use. So he's great for us, because he doesn't try to get in the middle of the creative world, but he has all of this technical ability and understanding about what happens in a studio. So he can guide us toward making a good recording. He has a very particular role that he plays amazingly." To accompany the announcement of Depression Cherry, Scally and Legrand wrote a mission statement that, among other things, acknowledged the importance of continuing "to let ourselves evolve while fully ignoring the commercial context in which we exist." The band have seen the size of venues they play grow exponentially with their last two releases, and while there are different ways to interpret those words, to Beach House it's just about being "completely honest" in how they exist as a band. "We've always just wanted to be really true to ourselves," Scally admits. "To only do things for the right reasons, and only play festivals that we know we can put on a good show. Not just saying yes because it's a big festival. There is a lot of things where we have to pull back a little bit and not just do it because someone says it's a good opportunity. First of all we're lucky to even have the ability to even say no to something. There is a certain degree of humbleness. We're not conceited people, but we don't want to do something that's not us. Because the heart of everything we do has to do with being ourselves and to breach that would mean the end of us as a creative entity."